Today’s enterprises are seeing a new wave of workers: termed the “connected” generation, these workers are more socially connected, technology enabled and digitally driven than any other workforce segment. As numbers of “Generation C” workers skyrocket, it is critical that your organization harness their strengths for competitive advantage. 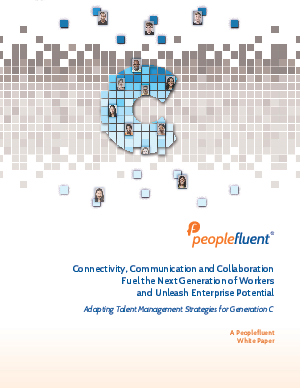 This whitepaper provides tips on how to reach Generation C and develop talent management strategies to attract, engage and retain these tech-savvy professionals to build a high performance workforce.